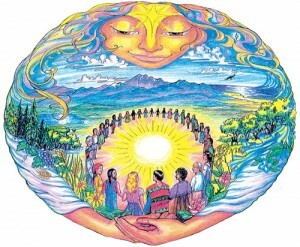 I love the image of Mother Earth Holding a Circle of People. Are you the originator of this image, or do you know who is? I would like to contact that person. No, I am not the artist and I wish I knew who that person is, but I don’t. Yes, it is a wonderful image and that is why I chose it through a Google search back in April of 2012 I see.